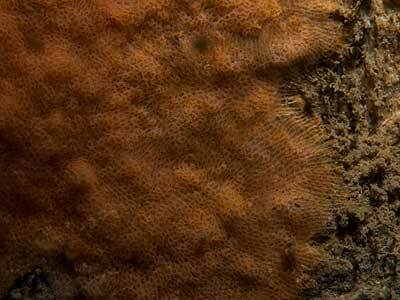 Description: This encrusting bryozoan forms extensive patches, to 20cm or more across. It is normally dull orange-brown in colour with regularly distributed low bumps in the middle of the colony. Habitat: A typical sublittoral species on large boulders or bedrock, often on vertical faces. Picton, B.E. & Morrow, C.C. (2016). Parasmittina trispinosa (Johnston, 1838). [In] Encyclopedia of Marine Life of Britain and Ireland.